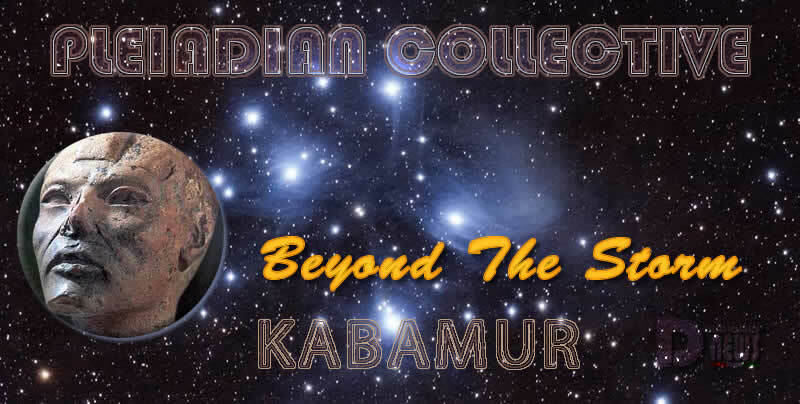 Beyond The Storm – Pleiadian Collective. By Kabamur Taygeta. The next few years will see ups and downs. Many arrests are going to happen. Public Justice will come, which could lead to more turmoil. Healing will be needed and those of you who understand this have the power to help. Many disclosures will continue. Financial restructuring. More Craft will be seen in the skies. Cures and technology released. Systems of power will be purged of darkness. But as we are in Duality, evil also continues. Not all false flags or created disasters will be stopped. The ones that are stopped, will be mostly be unknown to you. Not until The Event / Solar Flash / Rapture will be free of Duality. As old evil goes, new evil will take its place. The good news is, that after thousands of years of waiting, humanity really is almost there. This human life full of both pain and love. But it’s just a RIDE… a Show perceived through thoughts and beliefs. Every belief system requires a resolution. The true resolution to The Great Awakening has always been within. We have different words in different belief systems. What is real truth and what is man-made doctrine? What is God? Can you imagine an infinite Universe? Remember these clues have always been multi-dimensional. Find Thoughts of Love and Power to TRANSCEND the story. You are all Riders on the Storm. There were several missed opportunities to trigger The Event since 2012. Galactic Federation planned 2016, then 2017. There has been constant push-back by negative ET groups behind Cabal. Beyond what we have to deal with on the surface, there are other conflicts happening in our Solar System relating to our liberation, including actual space battles. One tactic dark forces employed early last year, involved encircling the Solar System with a technology that created a barrier between us and galactic center. Resolved a few months ago. “Cobra” called it a Dyson Sphere, but he did not get that info from Pleiadians. Instead of continuing to play games with the dark forces, the Light has locked the date of the Event permanently. Please don’t ask me when The Event is. I’m not told anything, except that I will be “older”. Do not think it is outside your grasp. A parallel Earth has been created in a higher frequency, as a safety net, “to ensure the Divine Plan”. This is where we will shift when The Event occurs. SHEEN. This 3D reality will be allowed to play out, evil plans included. When we Shift, the date of our destination in the new timeline will be exactly April 2nd, 2021, 11PM Eastern Time. All those who shift will essentially travel backwards in time to this date. Immediately upon shifting to New Earth the entire population will be ready to meet their Galactic Families and create a utopia together. People will have new bodies and gain amazing abilities. And will remember all lifetimes / Higher Self. It will all happen very quickly. Those who are “left behind” in this duality timeline will not remember those who shifted. Reality will rearrange itself in the Now. Asked frequently – Pets, Animals will shift too. I must assume this timeline will also have animals, but I don’t have that info. Is this truly the best timeline? Factually, no, but the truth is, it is what we make of it. No one should ever give up fighting for truth, justice, unity. This is why you have come here. To Awaken. To Create your Reality. There can be Peace for you now. This entry was posted in Uncategorized and tagged Disclosure News Italia, Kabamur, love. Bookmark the permalink.